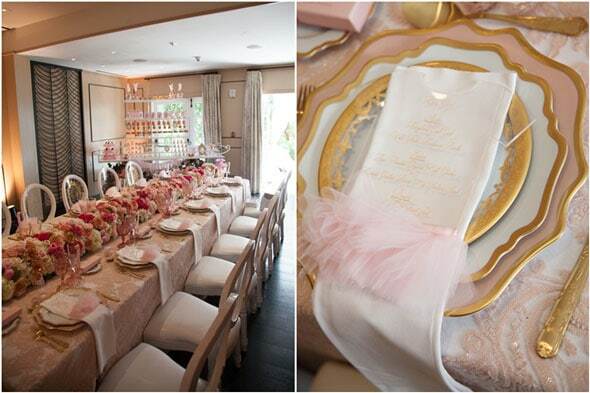 The delight truly is in the details and this sweet Tutu Cute Baby Shower had an extraordinary amount of pretty in pink details. 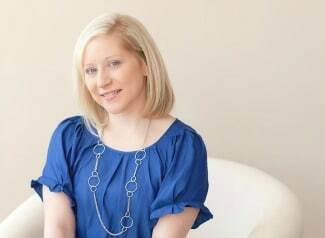 This little lady was one lucky baby! 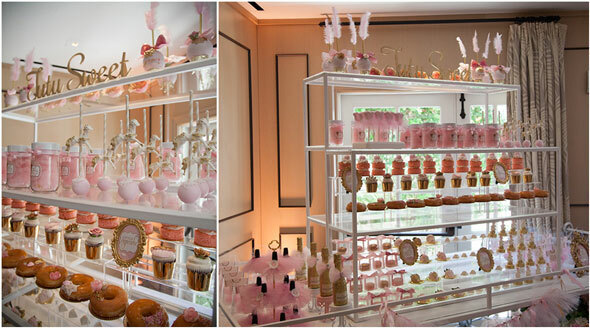 Serendipity Do created and styled the event, which was held at the Hotel Bel-Air. 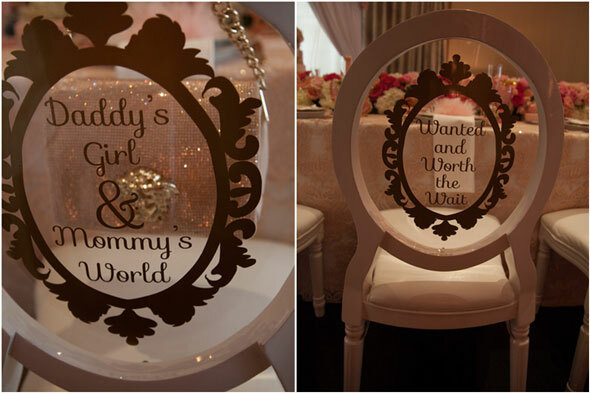 The custom champagne flute vinyls, along with the back-of-chair vinyl decals were chosen by the parents. 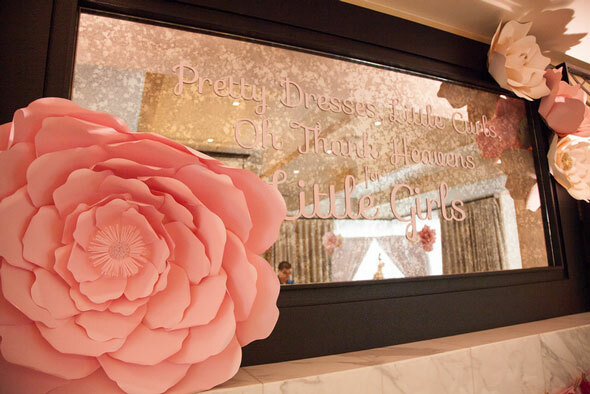 Industry Graphics provided the vinyls and it was such a reflective and meaningful way to have sweet baby girl sayings incorporated into the event! How cute what this sweet welcome sign, which was created by Bees Knees Design Shop? 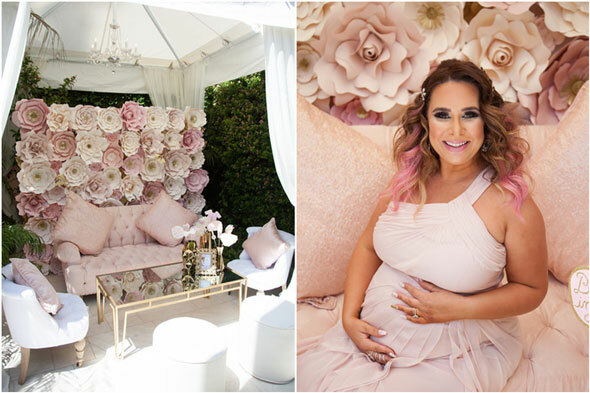 The details on the “clothesline” were absolutely adorable and how could you not get excited for this little baby girl’s shower after walking in and seeing that?! 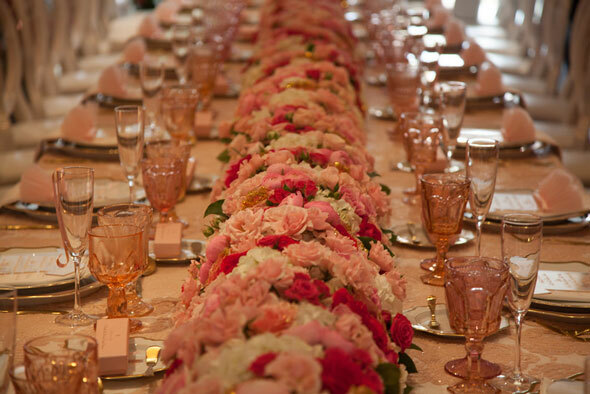 Lush florals featured hand-dipped gold glitter roses that were true show stoppers! 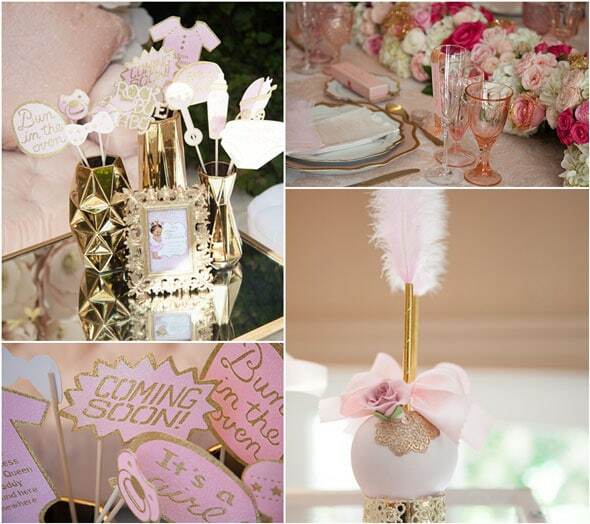 And take a look at those sweet cotton candy champagne ‘toppers’, which were provided by Fancy Pufs! 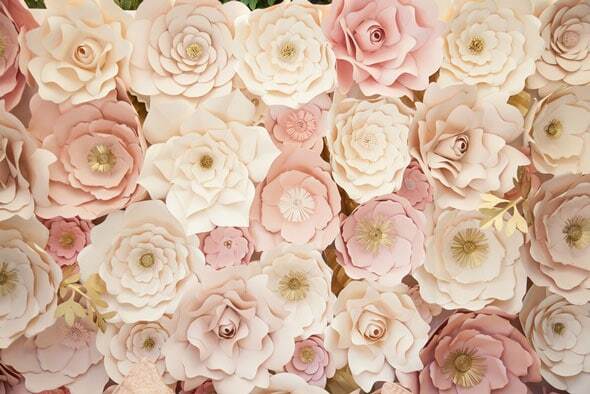 Pretty Petals created the gorgeous paper flowers that served as an astonishing backdrop for pictures and the entire shower. The suspended cake was nothing short of spectacular! The Cake Mamas created the beautiful cake, which was delicious, while Celebrate Florals created the fantastic suspended cake structure. 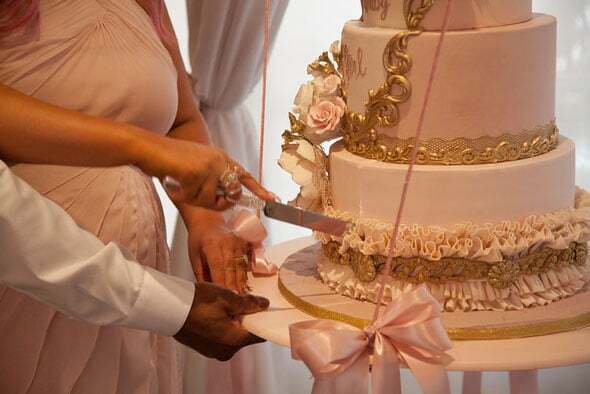 The cake itself, as well as the structure used around it were gorgeous! Celebrate Florals also did a great job with the floral decor around the baby shower, as well. Look at that gorgeous table! 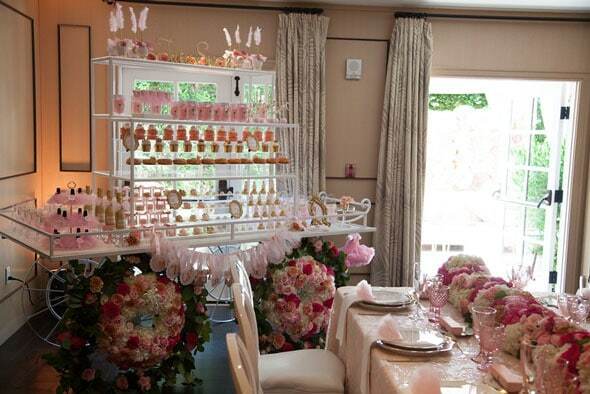 The layout of the “Tutu Sweet” dessert cart was one of the favorite elements of the baby shower! 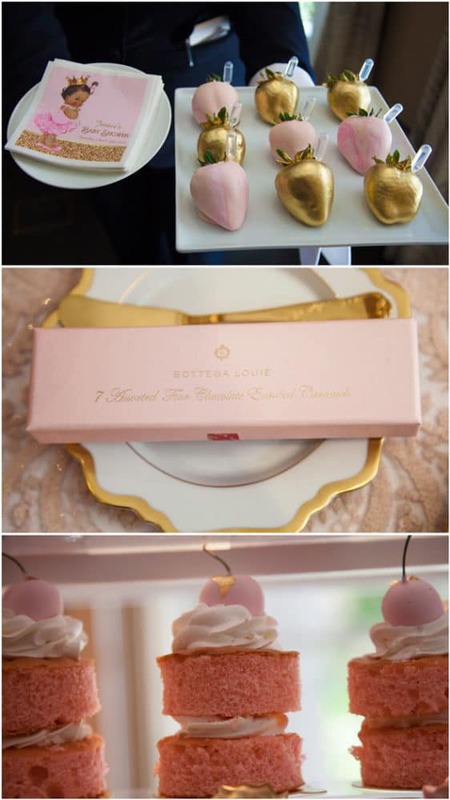 Each and every single custom dessert was a true work of art. 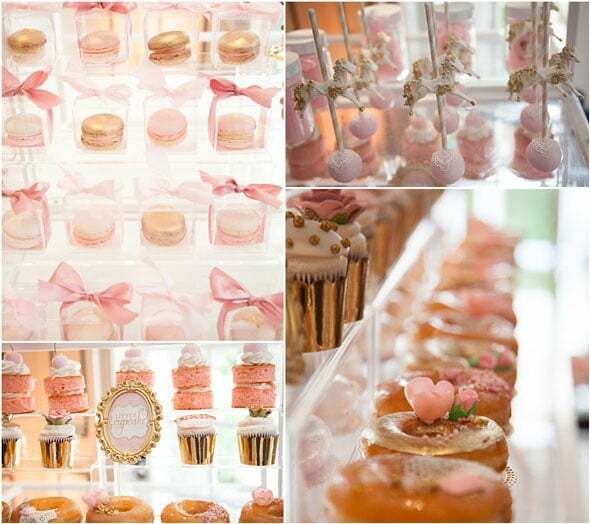 Roni’s Sugar Creations and Chocolate Favors Pops created all of the perfect desserts. They almost looked too good to eat, but everyone enjoyed every single bite! 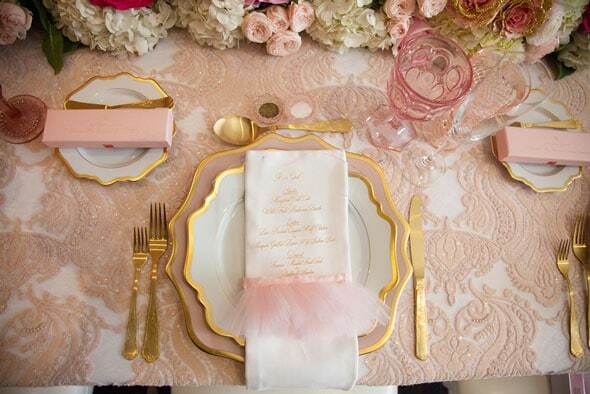 The table settings were absolutely gorgeous! 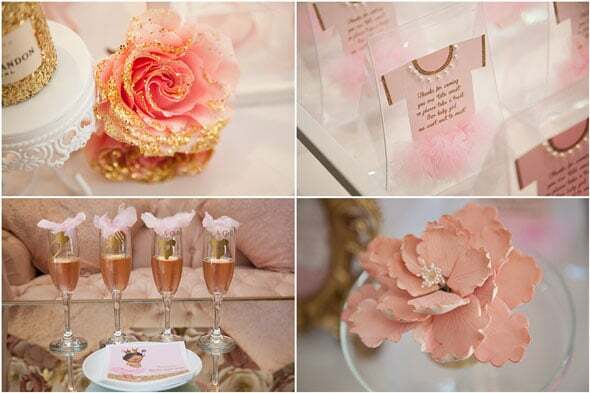 The menus for the event were custom laser cut acrylic ‘onesies’ with real pink baby tutus that mirrored the style of the original event invitation. 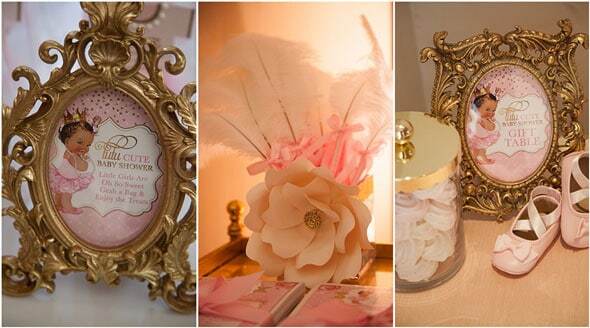 Lavene and Co. provided these and we absolutely love this great detail! 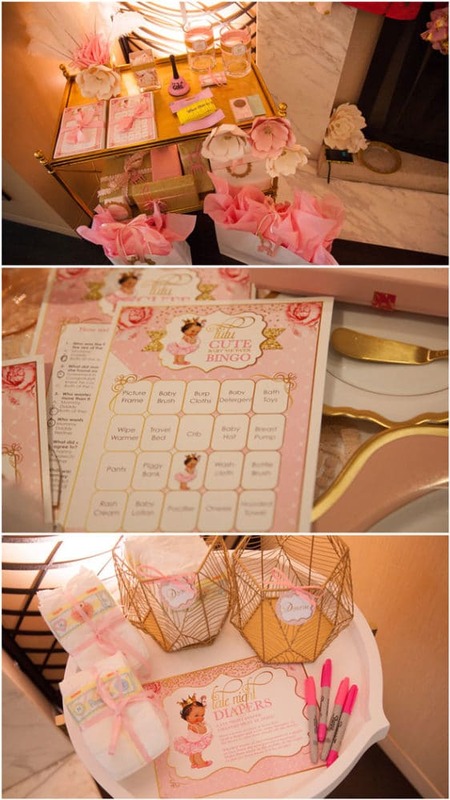 What kind of baby shower would be complete without some fun games? Bees Knees Design Shop created the graphics and cards for the shower games and between the fun Baby Shower Bingo and the Diaper game, everyone was giggling up a storm by the end of the day! Details, details, details! 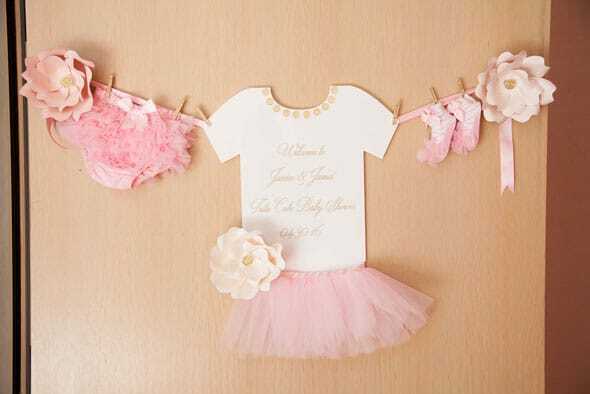 We just love the fun details that were found at this Tutu Cute Baby Shower! 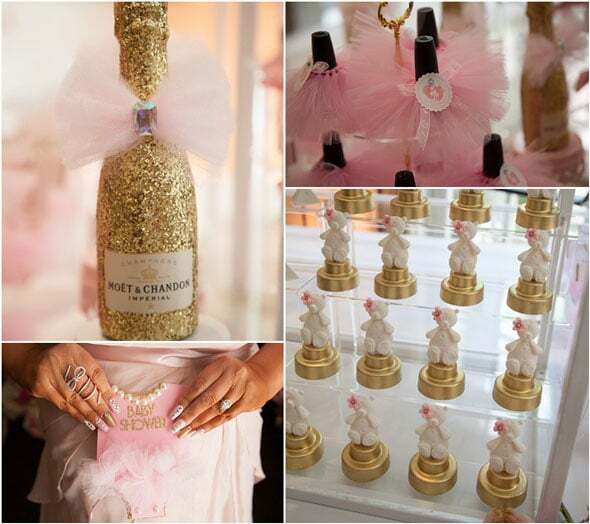 Made by Emma Jane created the gorgeous champagne bottle tutus, along with the great nail polish gifts that were accessorized with, of course, tutus! So many fabulous vendors were involved. 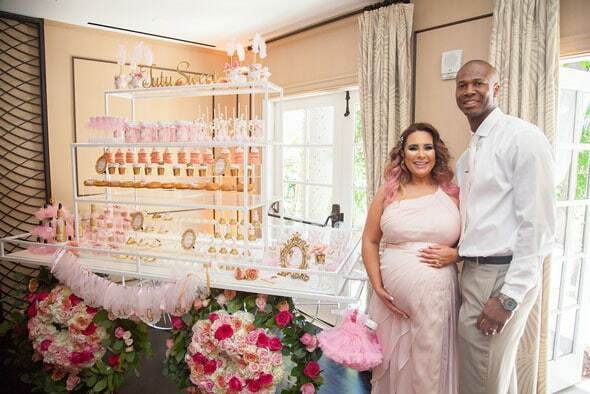 It was a big labor of love from inception to execution, but it was worth every second for this sweet family getting ready to welcome their baby girl to their lives! 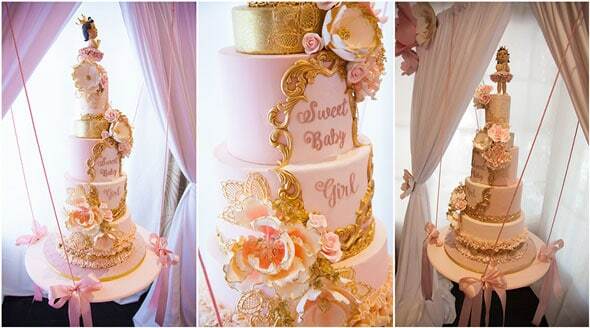 What an absolutely beautiful theme to welcome this sweet baby girl!